Plan- The Angkor temple complex is amazing in beauty, size, and heat. 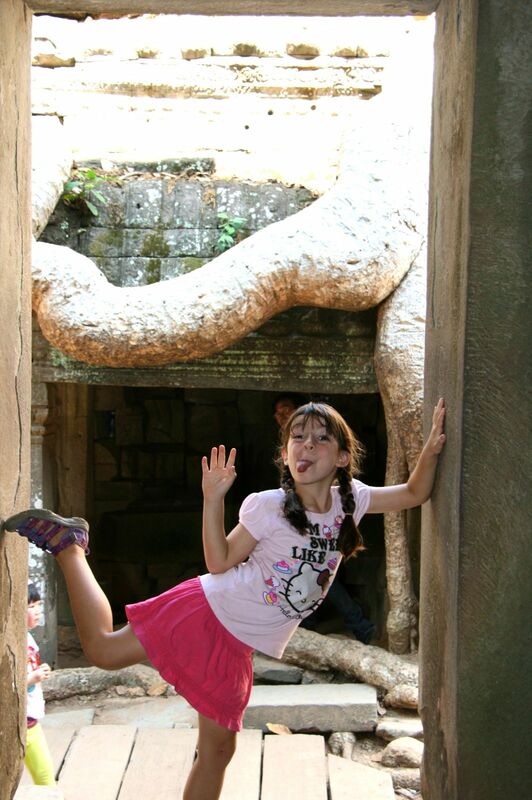 Our must see sights were Tomb Raider and Angkor Wat. We wanted to see as many temples as possible but we knew our kids wouldn't have the stamina. So we saw the highlights in the morning. In the afternoons each of us took turns exploring on our own. 1, 3, or 7 day pass? The 3 day pass is good for a week and the 7 day pass can be used over a month. Kids under 12 are free. Your picture is printed on the pass and gets checked at every site. No sharing passes! Three days over a week gives some days of rest, which you will need. Whatever amount of time you have, plan for some resting time to cool down. It gets pretty hot pretty fast. Hotel - Get a place with a pool. After a few hours in the heat, we couldn't wait to dive in and cool off. Start early in the morning. We noticed that tourists really started showing up around 9am. Plus it's a lot cooler. Hire a tuk tuk. It's more fun for the kids and a much more scenic way to get around. 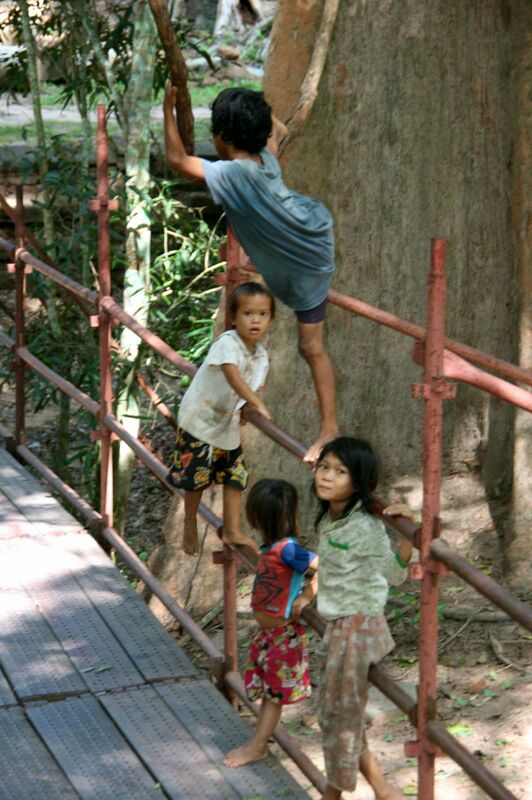 Plus you will be supporting a local Cambodian. Wear sunscreen, bring a handkerchief , umbrellas and water. Should you bring a stroller? Don't bother. 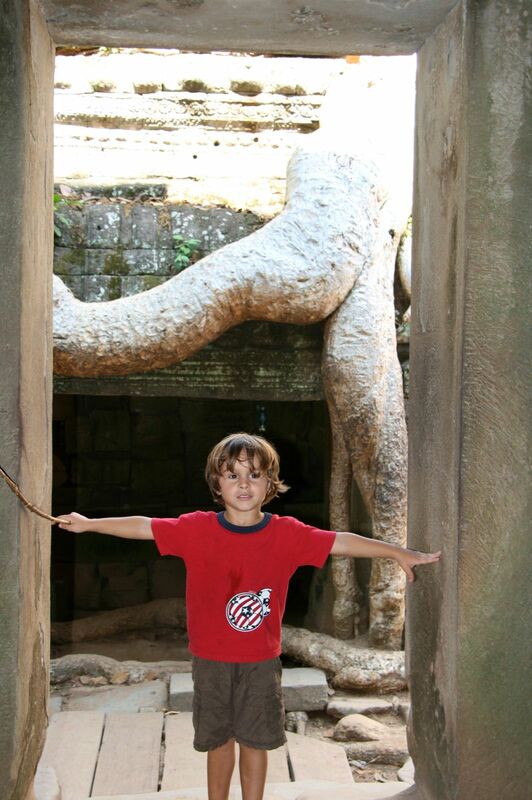 The ancient Khmer engineers did not design stroller friendly temples. You'll end up leaving it outside the temples anyways and it will likely get stolen. There will be plenty of places to buy water and food. Finally, think long and hard about giving money to children selling cheap junk or simply begging you to buy. If you do, you are teaching them to rely on handouts, paying them to stay out of school. Instead, talk to them. Where are they from? What subject do they like in school? How many siblings do they have? How old are they? Quiz them on the capitols of various countries. What was your favorite temple? I will be going in July with my partner, thinking about whether we should take our 2 year old son with us. Manageable or worth while leaving him with a relative for the few days? Also, can ankor wat be seen in a day? Hi. This might be ridiculous. But does the dress code apply to kids? I see knees were not covered in pics so I'm guessing it only applies to adults? We are heading there in a few weeks!